How To Make Sponsored Posts Appealing To Readers? Sponsored posts have been the love and hate of many bloggers over the years. You can guess why— it’s very difficult to please both your advertiser and your audience alike. Who should you favor? Who should just ‘take it’ without complaints? Storytelling is a good compromise, always, because it appeals not just to advertisers, but to readers, too. As a sponsored blogger since 2007 (yes, done that and still doing it), here is my advice to make sure your posts will stay in your readers’ hearts and not just be skimmed and abandoned. Use anecdotes and tell your readers about your personal experience with a product, a service or an idea. Susanna Gebauer from TheSocialMs.com has 7 storytelling ideas to help you get started. Photos and videos of yourself using the product or service are your best bet. You may also ask your advertiser for customizable visuals that will help you integrate your sponsored content with your overall blog theme and your audience’s needs better. The class salesman’s hype makes prospective customers run miles away— avoid it at all costs! Your sponsored post needs to be fun, engaging, conversational and credible. Hype will get you and your advertiser nowhere and will result in a loss for both of you— your readers and the advertiser’s money. But don’t stretch it too much! If your blog is about catering and you are trying to write a sponsored post about childcare, it might be difficult to find a good angle, but if you know how to make sure stroller wheels won’t ruin your precious garden grass, then by all means go ahead and write about it. 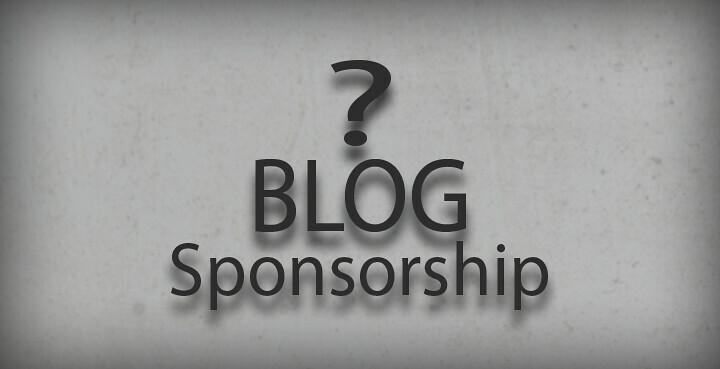 Try to take on sponsorships that match your blog niche. You can stretch your creativity only so far; after that, it becomes clear to your readers that you are trying to make that post fit at all costs— but there’s nothing for them in it that they can use (unless it’s a good laugh, but you have to be clever enough to earn that, too). Your sponsored content should still reflect their needs and answer their questions, not just please your advertiser by offering your post to your readers as something curious to look at. Sure, curiosity is a factor, but unless you make it meaningful (useful, entertaining) to your readers, it’s a waste of time and money, because your readers will not be engaged. And with the brand. But your post is their first interaction window– if they comment and engage with you, they have better bets to get in touch with the brand. Your sponsored post shouldn’t be a standalone piece of content. It should be well integrated in the structure of your blog. Internal linking works at your advantage, in this sense. If your advertiser is against internal linking, it’s your job to educate them about the benefits they will actually receive from a good internal linking strategy, and the total absence of any kind of harm. Ask your advertisers about any downloadable items or free subscription lists from their company or client that you may add to your sponsored post. It would work to your advertiser’s advantage and add credibility to your post, as well as an incentive for your readers to take your sponsored post in consideration. Not just to abide by the FTC rules, but also to be honest to your readers, who will trust you more and be reassured that you are not trying to manipulate them into buying lies. How do you make your sponsored posts appealing to readers?